Last spring we visited Forest Edge Winery and were very impressed by the tasting room and by the wine. While we were unable to get back for a visit, we were happy to find them at Jane’s Saddlebag’s wine festival this past weekend. Their wine was just as good as we remembered. They have a lovely, light, dry Riesling. Wine lovers who enjoy a Riesling with want to give this one a try. After a taste, I wanted more. Forest Edge’s Riesling has all of the wonderful qualities of dry, German Rieslings, a fruity, floral aroma and a tart citrusy taste that lingers. We also had the privilege of meeting the maker of their memorable wine. 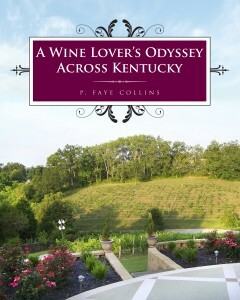 Raymond “Butch” Meyer is one of Kentucky’s premier winemakers. A few years ago, Meyer won a Best of Show Red in an International Amateur Winemaker competition. Today, he is winemaker at Forest Edge Winery, as well as at Millanova Vineyard and Winery and Brooks Hill Winery; and is winning awards. At the 2014 KY Derby Festival Wine Competition, five Forest Edge wines won Gold. Forest Edge Winery is located just off I-65 in Shepherdsville, Kentucky. I recommend visiting if you have a chance and look forward to our next trip.